Premier League | 18 November 2017 | Old Trafford | Attendance: 75,035 | Scorers: Martial 37, Smalling 45+1, Pogba 54, Lukaku 70; Gayle 14. 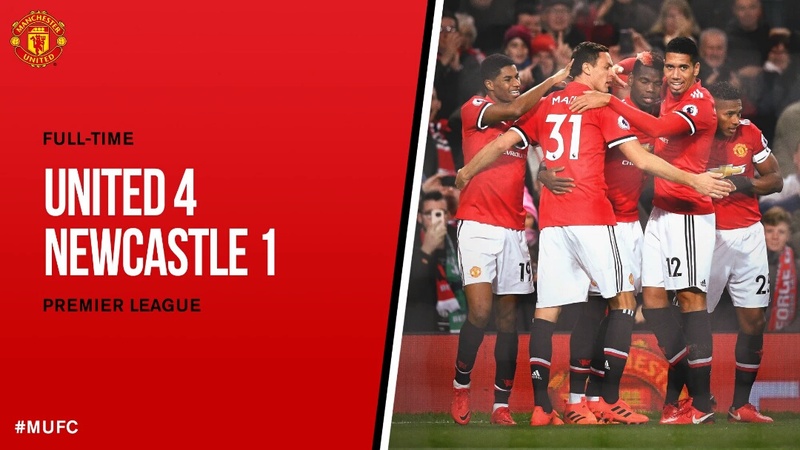 The returning Paul Pogba inspired Manchester United with a goal and an assist as the Reds came from behind to beat Newcastle United 4-1 under the bright lights of Old Trafford. 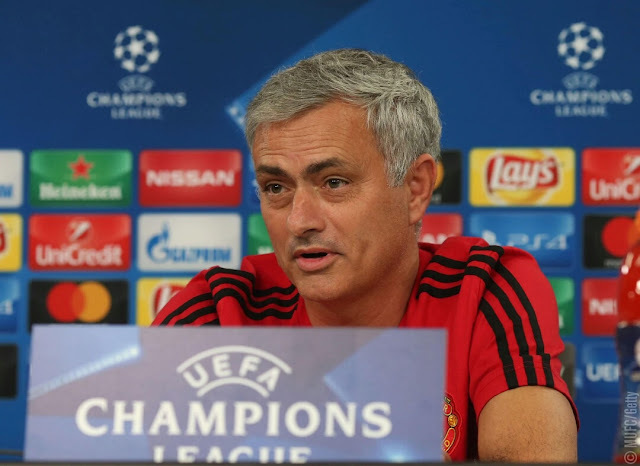 Pre-match, manager Jose Mourinho admitted his side had missed the influence of his big stars and Pogba, who had been absent since the opening UEFA Champions League Group A match against Basel on 12 September, played a pivotal role throughout. He first set up Anthony Martial's leveller after the Reds fell behind early to a Dwight Gayle strike. Chris Smalling turned it around seconds before half time heading in Ashley Young's cross before Pogba put the game to bed with a second half tap in. Romelu Lukaku then grabbed his first Reds goal in eight games late on, smashing in the fourth, before Zlatan Ibrahimovic made his long-waited return to action late on to the delight of the Old Trafford crowd. As well as Pogba and Ibrahimovic, Mourinho had the luxury of recalling Marcos Rojo to the matchday squad after he had recovered from his long term injury and took his place on the Reds' substitutes bench. The first chance of the game fell to Romelu Lukaku who latched onto Antonio Valencia's low front post cross, but he fired over from 5 yards. Prior to this one, the Reds were the only side in the five major European leagues yet to concede a top-flight goal at home this season, but that record went by the way side as Newcastle took a shock lead. 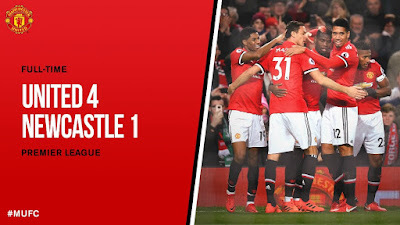 DeAndre Yedlin beat Ashley Young to the by-line and pulled the ball back for the arriving Gayle who capitalised on a Victor Lindelof slip to fire low past De Gea, via help from the post..
Yedlin nearly doubled Newcastle's lead five minutes later, but he dragged his shot wide of the far post. 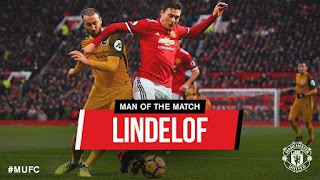 That seemed to wake Mourinho's men up and Lukaku should have levelled the game, but he headed Lindelof's expert long ball over the bar. 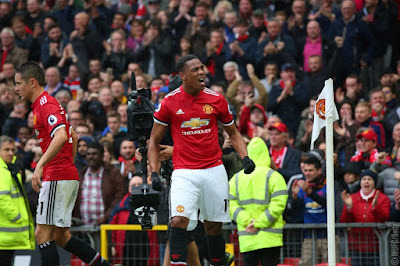 United continued to probe and were back on level terms through Martial's seventh of the season. He headed past Rob Elliot at the back post following fantastic skill and cross by that man Pogba. Lukaku then had a shout for a penalty waved away, but with the next attack, the Reds had turned it around. 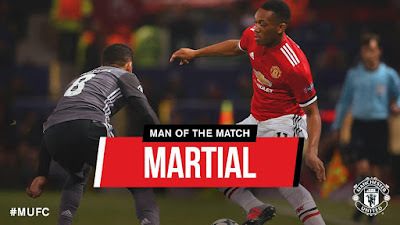 Young whipped in a dangerous in swinging cross which was met by the towering leap of Smalling who headed in his first goal of the season via the outstretched leg of Elliot. 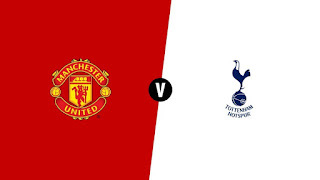 The Magpies were close to being level seconds later as Isaac Hayden's shot was saved by De Gea before Matt Ritchie's rebound deflected off Gayle and fortunately for United evaded the post. United started the second half much brighter than they did the first and it didn't take long to put the game to bed as Pogba grabbed a goal his peformance deserved. 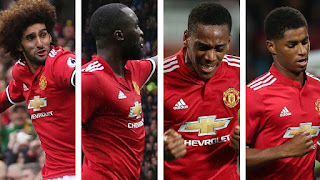 Lukaku was sent free down the left and he crossed for Rashford who in-turn headed across goal for United's number six to tap home from a yard out.